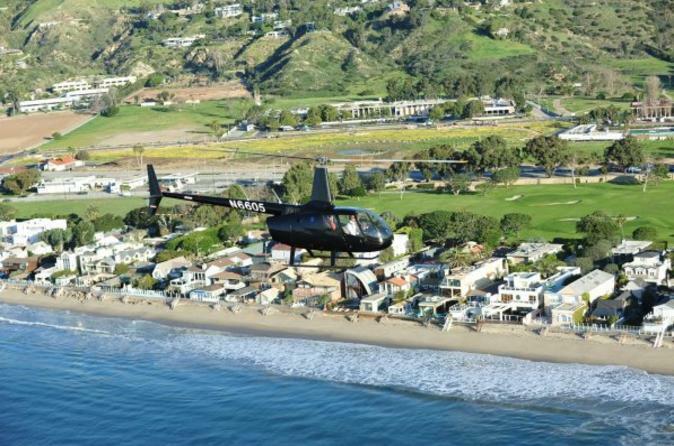 Treat your special someone to a romantic helicopter flight over Los Angeles. This 45-minute flight is full of sightseeing, one-of-a-kind views of Los Angeles' favorite landmarks and the stunning California coastline. Plus, you’ll get an exclusive landing on top of a secluded peak in Malibu overlooking pristine beaches and the Pacific Ocean.